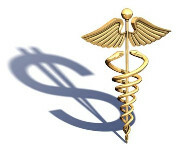 There are good reasons for low debt collection rates on Medical bills. The most significant is that a very large portion of those owing Medical bills may have the desire but do not have the ability to pay their Medical debt. The American Collection Association reports that about 15% of Hospital debt is collected and about 22% of Non-Hospital Medical debt is collected. In some cases collections are as low as 5%. A glance of some of the statistics on hospital payments sheds some light on why these figures are so low. To begin, at least 30 million people had no insurance at all for the entire year of the study. Additional people had occasional coverage. Most of these people do not have the incomes to handle the high costs associated with medical services.In addition, they generally have no assets and very few prospects for a brighter future. Very few of these bills will get paid. Even more people, 75 million reported problems paying their medical bills or were paying off medical debt, These people often have insurance but are left with large bills uncovered by their insurance that stress their finances to the breaking point. Medical bills will not be paid before food, clothing, housing and transportation. Seventy-eight percent of workers reported an annual deductible in their Health Care Insurance. While this helps lower insurance costs, most workers live week to week and have no emergency funds available to handle these deductibles. In addition, many Medical bills are still not submitted to Insurers electronically. The United States Medical Community is lagging far behind most other first World countries with large numbers of paper submissions. This slows the process and causes additional errors in the codes needed to obtain payments. Hospitals in particular and all medical practices in general do not verify patient information. This leads to a large number of incorrect or misleading information on many patients. The percentage of patients who cannot be located is extremely high compared to other sources of bills. Patients often get many bills from a single Hospital visit and simply do not have the ability to pay them all at once. Sometimes they get new bills before the old bills are paid making their problem untenable. Once the bills are in the hands of a Debt Collection Agency these people are hard to locate and very hard to call. Most phones provide the incoming phone number and people who have a lot of bills tend to screen their calls to avoid unpleasant demands for money they don’t have. A Debt Collection Agency can maximize what is collected by working with these people if they will accept small payments over time. Nobody likes small payments but getting nothing is always the less successful alternative. In most cases large payment are simply beyond the ability of the patient. Kindness and concern for the patient’s situation can also go a long way in getting bills paid. People are much more likely to answer their phone if they know the collector calling them is sympathetic and understanding. Robot telephone calls, in particular, are not welcome visitors to a patient’s telephone. Agencies need to make personal calls if they want to get paid. Some agencies use Robot calls to maximize profits because personal calls cost a lot more. These agencies can charge less because they do less. Even if only one in a hundred calls are answered their collectors are kept busy. The percentage of money collected does not matter because the calls, while inefficient, cost almost nothing. These Agencies are skimming the easy collections, not bothering with the harder collections and keeping everybody in the office busy. This works because Many Medical practices focus on the rate of the Agency and not the percent collected. Focusing on how much money is returned will provide a more valid evaluation of a Debt Collection Agencies success. In Medical collections, more patient contact drives up collections but it costs money. The reward, however, far exceeds the extra cost.